This Sunny Patch Seaside Sidekicks sand and water fun funnel toy will bring extra splashing fun to your child's outdoor play at the beach, by the pool, or in the sandbox. 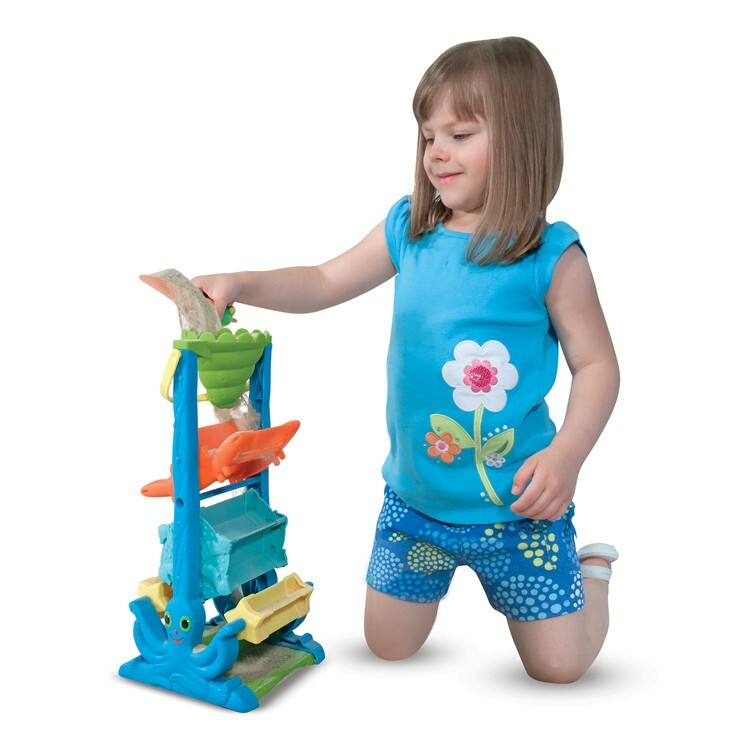 Pour water or sand through this colorful sea animals tower, then watch as the different layers funnel, tip, spin and sift through this Seaside Funnel Sand & Water Toy! 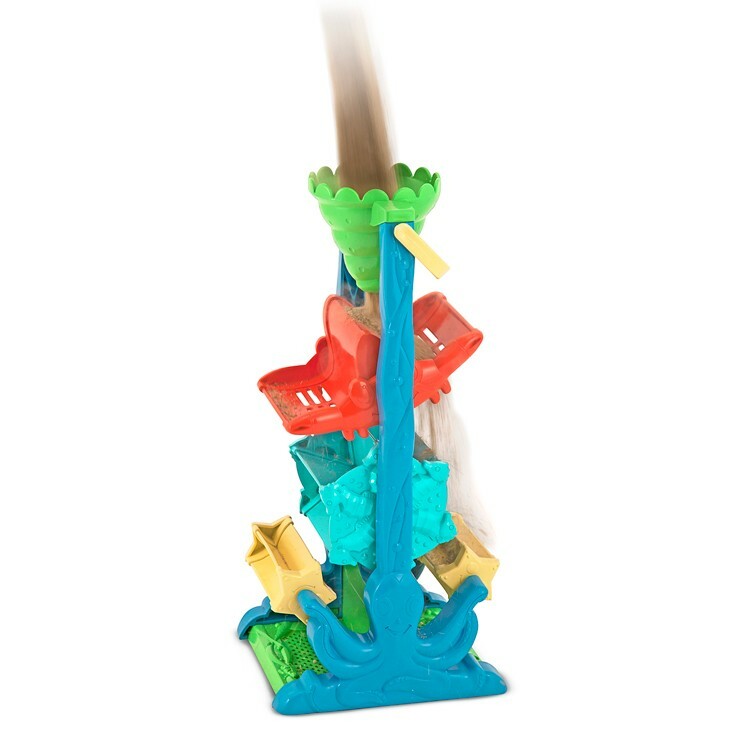 This sand & water funnel is well made by Sunny Patch, the popular summer toys maker, of sturdy plastic. The special fade-resistant colors make Seaside Funnel Sand & Water Toy perfect for outdoor play on the beach, in the sandbox, or by the pool. You can even use this sea creatures funnel to pour water through in your bathtub! This fun sand and water toy features a convenient carry-along handle. This Sunny Patch water funnel toy from Educational Toys Planet will bring extra splashing fun to your child's outdoor play. 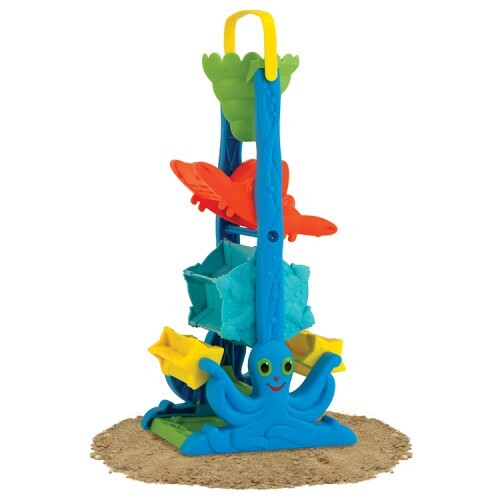 Dimensions of package 7" x 15" x 6"
Write your own review of Seaside Funnel Sand & Water Toy. Rating: 5 Beach Fun by G-ma This is a great toy for our granddaughter who lives in Hawaii and goes to the beach frequently.